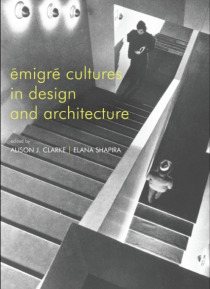 This new volume addresses the lasting contribution made by Central European migr designers to twentieth-century American design and architecture. The contributors examine how oppositional stances in debates concerning consumption and modernism's social agendas taken by designers such as Felix Augenfeld, Joseph Binder, Josef Frank, Paul T. Frankl, Frederick Kiesler, Richard Neutra, and R. M. Schi… ndler in Europe prefiguredtheir later adoption or rejection by American culture. They argue that migr s and refugees from fascist Europe such as Gy rgy Kepes, Paul L szl , Victor Papanek, Bernard Rudofsky, Xanti Schawinsky, and Eva Zeisel drew on the particular experiences of their home countries, and networks of migr and exiled designers in the United States, to develop a humanist, progressive, and socially inclusive design culture which continues to influence design practice today.